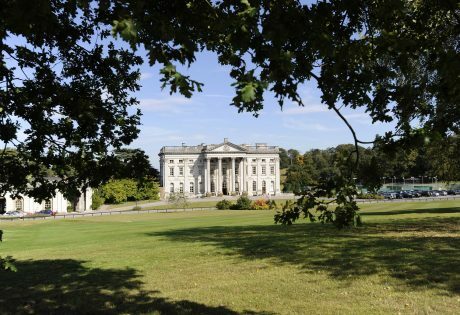 To see stories of Moor Park in the news please scroll down. 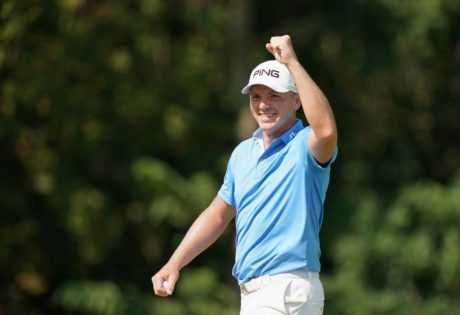 Matt Wallace hailed the “best shot of my life” after making a hole-in-one during the third round of the US PGA Championship. Playing alongside three-time major winner Jordan Spieth, the Moor Park-attached professional holed out with a five iron from 232 yards on the 16th hole at Bellerive Country Club in a third round of 68. “Best shot of my life probably,” the 28-year-old three-time European Tour winner said. “In front of a few thousand people, in front of Jordan, my caddie Dave [McNeilly] as well – finally picked a good club for me! “I flushed it right into my zone. We can’t see where it lands into the shade, but when it landed the crowd started cheering and then it rolled in and they went mental and it kind of reverberated back to the tee and then I just went crazy. So, yeah, special day for me today. “The whole experience of playing with Jordan, I said to him down maybe the first hole or second hole, ‘Mate, this is a real privilege for me to be playing with you because 18 months ago I was on a mini-tour and I worked really hard to where I got to now’. “He’s a cool dude and very good fun out there. I played nice for eight, nine holes and then dropped back a couple on 10 and then I still said to Dave, ‘I’m really enjoying this’. Wallace celebrated by throwing his hole-in-one ball into the crowd and signed it for the spectator who caught it. “People will be like, oh, that’s a stupid move, but I threw it in and then I met the guy after that hole and I signed it for him and he said, ‘are you sure you don’t want it back? '” he added. Wallace ended the third round in a share of 21st place on five-under-par, seven shots behind leader Brooks Koepka. 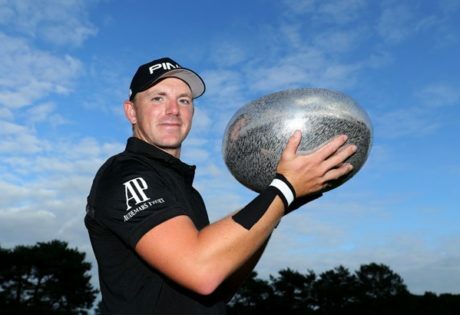 Matt Wallace won the Made in Denmark event with victory in four-way, all-English play-off in Silkeborg. Wallace, 28, birdied five of the last six holes in a five-under 67 to finish 19 under and force his way into the play-off – then birdied the 18th twice. Lee Westwood and Jonathan Thomson went out at the first play-off hole, with Steven Brown succumbing at the second. Wallace’s victory came three days before Europe captain Thomas Bjorn names his Ryder Cup wildcard picks. He said it would mean “everything” to be part of the team at Le Golf National in Paris from 28-30 September. Dane Thorbjorn Olesen secured the final automatic qualification spot in the European team as Matt Fitzpatrick failed to overhaul him. Englishman Fitzpatrick needed to win the event but finished three shots off the pace. Compatriot Wallace described the play-off as “pretty mental”. Westwood had led by a shot overnight but laughed off his chances of being one of Bjorn’s wildcard picks. The 45-year-old, who is one of Bjorn’s five vice-captains, said: “He doesn’t want an old man like me playing, he wants the young kids. Having climbed almost 100 places in the world rankings over the past 12 months, there are few more confident golfers on Tour than Matt Wallace — but not even he could have imagined discussing Ryder Cup hopes with captain Thomas Bjorn last month. 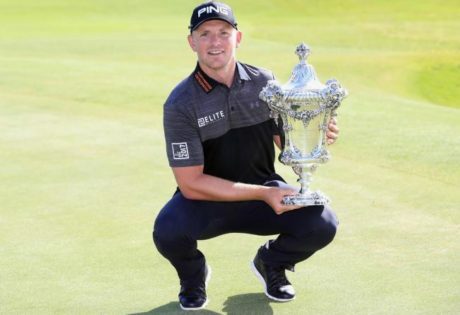 After three wins on the European Tour this season, most notably the Made in Denmark, coming through a play-off thanks to five birdies in his last six holes, Wallace pipped the likes of Sergio Garcia in many pundits’ picks to compete in Paris in September. Bjorn, however, went for experience at Le Golf National, with Wallace finding out the Dane’s decision high in the Swiss mountains, though it was a call he never imagined getting close to receiving. “I thought I could do something this season that could sway someone’s choice for sure, because that is what I envisaged — and when you win, you catch the eye,” Wallace told Standard Sport. “But I didn’t expect to get that close. In a way, that made it easier to accept. It’s a great thing to have and take confidence from. To have the support of a winning Ryder Cup captain will always boost the confidence of any golfer, and it has further focused Wallace on making the team which will travel to Whistling Straits in 2020. “I watched at home and it was not at all painful,” he added. “I knew a couple of weeks before what I’d be letting myself in for if I watched, but I’ll never skip watching the Ryder Cup. It’s just that next time I want to be there. If you are a sports fan, it is the biggest thing to be a part of or even watch. For now, Wallace will focus on the rest of the season, which continues when he tees up alongside some of those heroes from Paris at the British Masters this week. 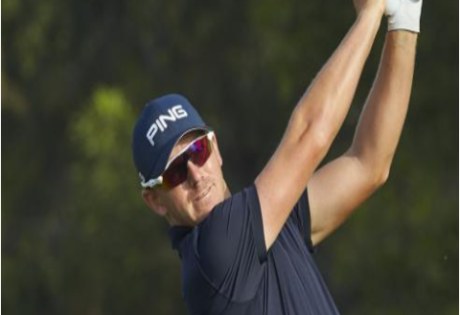 The 28-year-old is mixing it with the best, but having been slogging his way around the Alps Tour just two years ago, it is something he is still settling into. “I’m still the same guy, but life has changed in that I’m playing in the biggest and best tournaments in the world,” Wallace continued. “That is never a bad thing. “Playing alongside the big names, I think it becomes easier when you know that they now know you a little. It’s nice but, no, I’m still not used to it and it will be quite a while until I am. “The Alps Tour is hard. You have to travel to small airports in the middle of nowhere and find your own way. “Then, when you’re there, it is a tough gig, the facilities are not the best, should you miss the weekend you can’t just jump on a flight home, not only because you haven’t got the funds but you’ve probably already paid for the hotel. “That Tour is really tough on the mind, but that makes you stronger. It took me two years to get the graft, but I enjoyed every minute and every step helped toughen me up. From topping the Alps Tour in 2016 to now being introduced as a four-times winner on the European Tour, Wallace will soon not just be comfortable in and around the biggest names in golf, he will be one of them. Matt Wallace goes into today’s final 18 holes of the Sky Sports British Masters five shots off the lead after a frustrating third round at Walton Heath. The Moor Park professional had started yesterday in second place, three shots adrift of Eddie Pepperell. While the leader’s one-under-par 71 enabled him to maintain that advantage over the field, Wallace shot a one-over 73 to slip back to four-under and into a share of sixth spot. An up-and-down day saw the 28-year-old make his second eagle three of the tournament at the par five 11th and he also carded three birdies. However, these were more than offset by bogeys on six other holes. The world number 59 is due to begin his final round at 12.43pm in what are set to be wet and chilly conditions. The Moor Park professional came into the final round in a share of the lead on seven-under par and was to finish with a 72-hole total of 11-under after a round of 68, a total matched by Johnston following his 66. The 27-year-old struck a monster drive on the 18th – the first additional hole – and with his rival laying up and seeing a birdie putt lip out, a superb second gave the Pinner-based player two putts to win the title. Wallace rolled his first up to the side of the hole and tapped in to secure a second European Tour triumph following last year’s Open de Portugal victory, a win that gave him his card in the co-sanctioned Challenge Tour event. “I played great,” he told the European Tour following his win. “Ever since being three over through eight at the start of the week I’ve played some of the best golf of my life and to do it in that style at the end there capped it off. “Beef really had a great round today because I was playing fantastic and thought I might have been a few more clear. Birdies at the second, fourth and a 30-foot putt on the seventh had seen Wallace take early command of the final round in New Delhi as he opened up a three-shot lead. Johnston narrowed the gap to two with a birdie at nine, but the 2016 six-time Alps Tour winner responded by chipping in at the next hole. However, the North Middlesex player picked up shots at the 13th and 17th to reduce the lead to one shot, and after Wallace bogeyed 16 they were tied on 11-under. Junior golfers at Moor Park Golf Club in Hertfordshire enjoyed the chance to learn from one of the professional games fastest improving players last month, when Matt Wallace – the winner of two tournaments in his 18 months on the European Tour – held a coaching clinic at the club where he first learned to play the game. Despite poor weather on the day, Wallace hit lots of shots, discussed his game at length, and explained how he prepares for tournaments. He also gave an insight into his journey from the amateur ranks to the top of the pro game, and took questions from the audience. 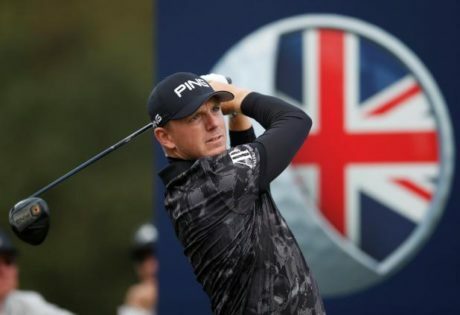 Born locally in Pinner, Wallace played much of his junior and amateur golf in the surrounding area, and he has gone on to enjoy tremendous success in the paid ranks in recent years. Since graduating from the Alps Tour in 2016, he won the Portuguese Open in only his fourth start in 2017, which gained him membership of the European Tour. Most recently, he won the Indian Open to move inside the world’s top 100. Rising European Tour star Matt Wallace will compete at the US Open for the second year running after successfully coming through qualifying at Walton Heath. Having finished in a tie for 51st place at the Italian Open on Sunday, the Moor Park professional secured a share of seventh after yesterday’s 36-hole event to claim one of the 14 places that were up for grabs for the 118th edition of the tournament at Shinnecock Hills next week. The 28-year-old had to come through a play-off to secure his maiden appearance at the major championship last year where he missed the cut on seven-over-par at Erin Hills, but he was able to avoid any additional tension at the end of a physically and mentally demanding day this time around. 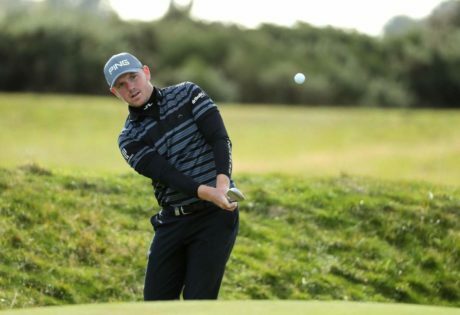 Matt Wallace will be in one of the stand out groups when he gets his second BMW PGA Championship campaign under way on Thursday. 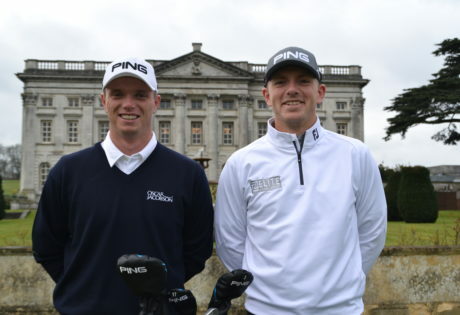 The Moor Park professional is due to tee off at 8am and will partner reigning Race to Dubai champion Tommy Fleetwood and Ryder Cup star Ian Poulter in the first two rounds at Wentworth. 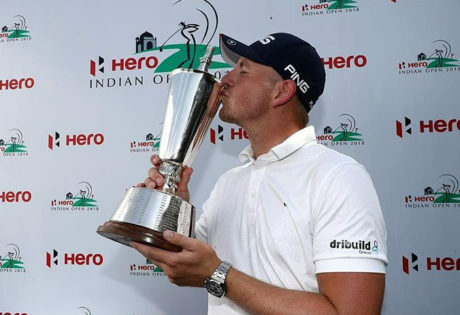 The 28-year-old heads to the first European Tour’s prestigious Rolex Series events of the year 18th in the Race to Dubai standings after winning the Hero Indian Open and finishing in a tie for third at the Volvo China Open last month. 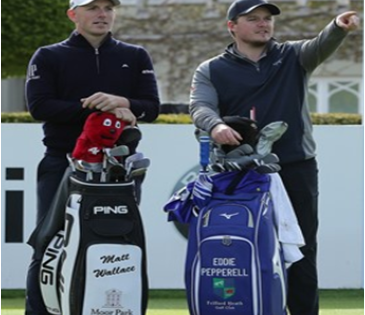 England’s two most recent European Tour winners, Matt Wallace and Eddie Pepperell, visited Wentworth Club on Thursday to play the West Course in preparation for this month’s BMW PGA Championship. The duo stopped in on their way to Centurion Club, where they will be teaming up this weekend to represent the English men’s side for the second edition of the innovative GolfSixes tournament. The BMW PGA Championship has been part of the European Tour since its inaugural 1972 season and will once again represent the opening event of the Rolex Series. There’s a different flavour on this week’s European Tour as the second GolfSixes tournament takes place at the Centurion Club in St Albans. The second GolfSixes tournament will be contested at the Centurion Club this weekend. 16 teams from the European and Ladies European Tours will do battle for a prize fund of €1 million in this innovative event. Male and female two-player teams, largely representing countries (with two “European” teams also featuring,) will battle it out at the Centurion Club north of London over two days this Saturday and Sunday to be crowned GolfSixes champions. England’s men will be represented by two winners of the European Tour in 2018 – Eddie Pepperell and Matt Wallace. 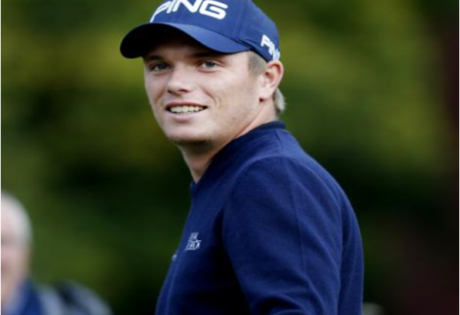 Pepperell claimed his maiden Tour title in the Commercial Bank Qatar Masters, while Wallace triumphed in the Hero Indian Open. 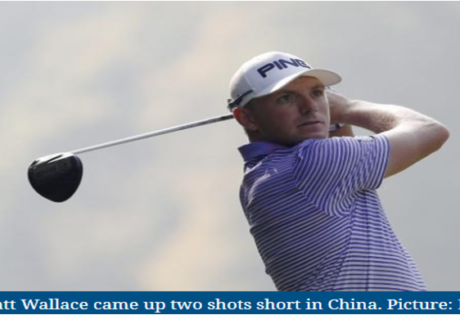 It was a disappointing and frustrating case of what might have been for Matt Wallace after his hopes of winning a third European Tour title fell short at the Volvo China Open. The Moor Park professional had gone into the final round in a share of the lead with Adrian Otaegui on 12-under-par. Although Wallace used to card a four-under 68, it wasn’t enough as Sweden’s Alexander Bjork fired a 65 to claim his maiden European Tour win by one shot on 18-under. Otaegui finished second, with Wallace in a share of third alongside Jordan Smith and Jorge Campillo, sealing his seventh top-10 finish in less than a year as a European Tour professional. A third successive level-par round of 72 secured Callum Shinkwin’s 12th top-20 finish on the European Tour after finishing in a tie for 13th at Trophee Hassan II. 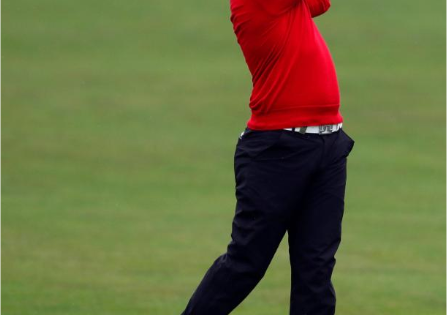 Following Rounds of 70, 72 and 72 the Bushey golfer had gone into the last 18 holes in a share of 17th place in Morocco, five shots behind third round leaver Alvaro Quiros. The Moor Park professional was unable to make inroads towards the very top of the leaderboard, but another solid performance saw him improve his position by four places and finish as one of only 21 players under-par at the tough Royal Golf Dar Es Salam course. Callum Shinkwin has moved up to 113th in the Race to Dubai standings.